The day after Thanksgiving remains the biggest shopping day of the year, but some researchers say that Black Friday is losing steam, as online shopping becomes the norm. Jessica Lee and Noelle Nelson are professors in Marketing and Consumer Mentality at the University of Kansas School of Business. Every year, thousands of people snap out of their Thanksgiving food comas to grab deals during Black Friday. But for smaller vendors, the real holiday shopping event to wait for is Small Business Saturday. That's certainly the case for .POP!, a self-described "gypsy market" that's currently located at Bonfire on Johnson Drive. Every three or four months, .POP! 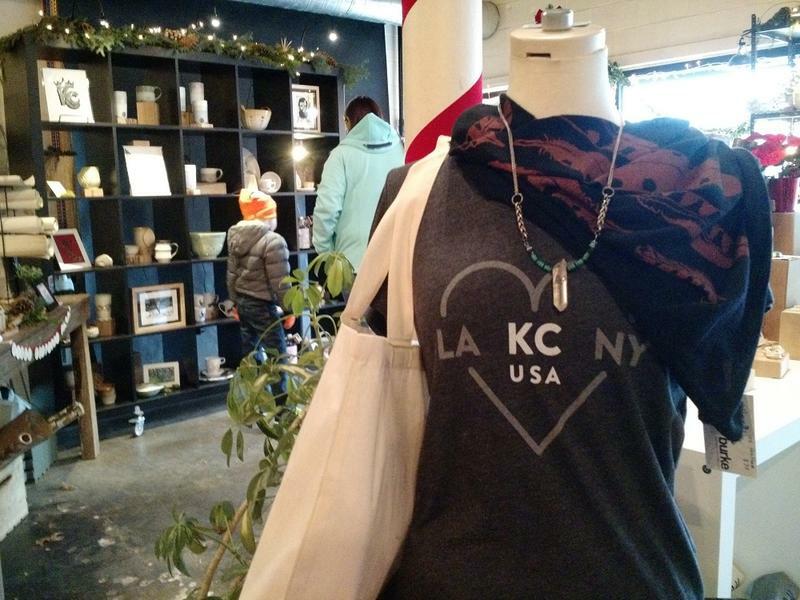 moves to another space in Kansas City to show off local makers and their wares. With the advertising and design community immersed in Kansas City Design Week, we examine how local companies get people to identify with their products and their stories. Let's pull back the curtain on some popular KC brands: Shatto Milk, Sporting KC and SPIN! Pizza. Few will argue against the notion that the Royals' recent run to a World Series title has been a good thing for Kansas City. The New York Times is lauding the metro's "resurgence" and newfound "swagger." Deadspin is fawning over the record-breaking turnout at Tuesday's victory parade.